Freedom Warranty launched its newest VSC product. 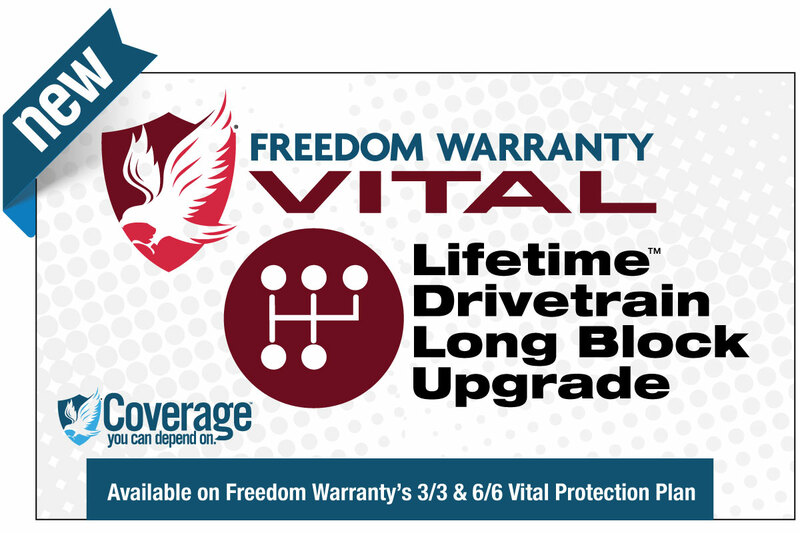 A Long Block Upgrade is now available with Lifetime Drivetrain coverage under Freedom Warranty’s 3/3 and 6/6 Vital™ Protection Plan. The new product gives dealers the opportunity to offer their customers lifetime drivertrain protection and an additional 36,000 miles of coverage for the engine, starter, starter solenoid, alternator, and AC compressor. “This product is price competitive with 12, 24, and 36-month drivetrain plus coverage and exceeds what other VSC companies offer by giving customers enhanced protection as long as they own the vehicle,” said Chris Miller, Freedom Warranty’s CEO. Additionally, like the Vital™ 3/3 and 6/6, there are no surcharges for diesel, AWD, 4WD, superchargers, or turbos. Dealers who want to know more about the Long Block Upgrade can contact Freedom Warranty Dealer Services by calling (844) 307-9944 or send email to contactus@freedomwarranty.com. Freedom Warranty is a privately-held company that operates in over two dozen states and sells its VSC products through automotive dealerships, licensed repair facilities, and financial institutions. The company’s corporate office and customer service team is based in Chattanooga, Tennessee. Visit online at FreedomWarranty.com or call (423) 212-7445. 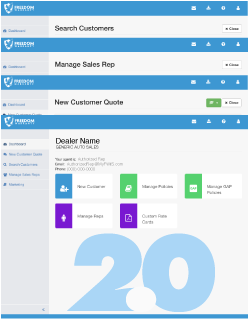 Freedom Warranty launched version 2.0 of its innovative proprietary, interactive cloud-based client application, the Freedom Warranty Integrated System, on March 26.